You know part of my summer plans is to do a lot of crafting. I also have a few other things I want to do this summer like getting an eye makeup makeover as I haven't bought any new eye makeup in years now. Thanks to YouTube I realize I've been downright unfashionable. We enjoy day trips to Blowing Rock, NC which is less than an hours drive but about 10 degrees cooler. So I took a few photos to represent my plans and made this page using a sketch from Shimelle at www.shimelle.com. It is called grid collage She has challenges going on for a few more days. 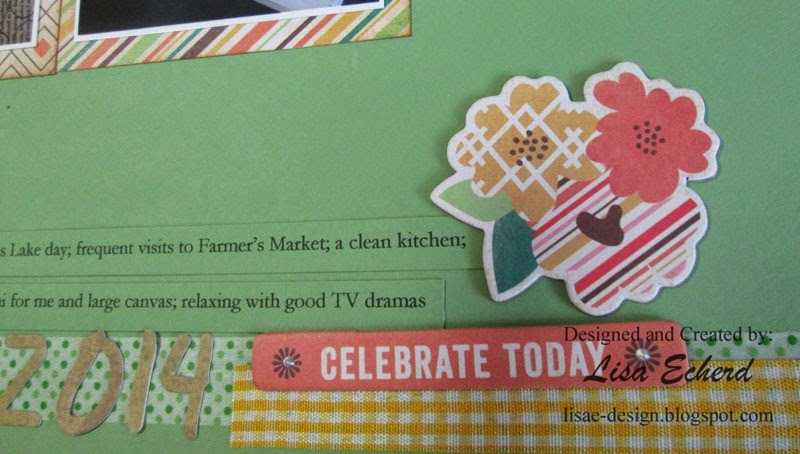 Papers and chipboard are from the BasicGrey Herbs and Honey collection. I also got in a few stickers I've had for a long time and got my Basic Grey Magnetic mat out of the closet. It was really helpful in getting the grid down straight. Thanks for all your wonderful comments on crafting this summer. Many of you are like me having a lot of things in our stash we want to put to good use. 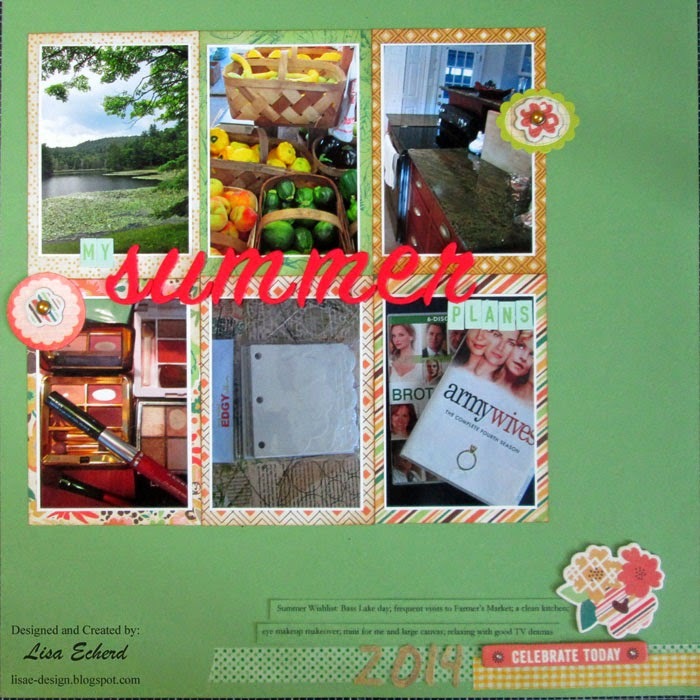 Reminder: Creative Cardstock class is just $15 through this Friday. 10 video lessons with over 2 hours of content. Sign up on the right side of the toolbar. 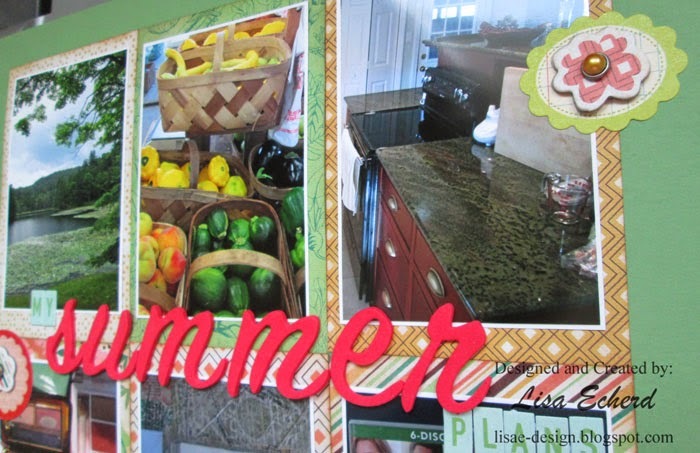 Such a pretty layout, Lisa, love how you matted each photo with a different paper! What a great summer page. Love the design. Great layout, love the colors you used.